Immigration Blog about US & Canadian Immigration matters. 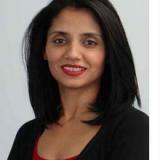 Immigration Blog about US & Canadian Immigration matters. If you would like to learn about US and Canadian immigration matters you have came to the right place to read blogs. 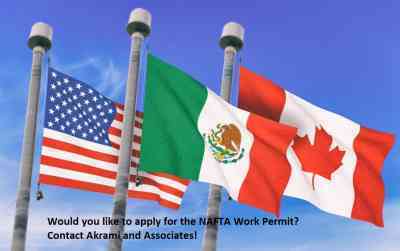 Are you a citizen of the United States or Mexico who’s been wanting to come to Canada for temporary work? Are you an American or Mexican national with a job offer from a Canadian company but not certain about the sort of documentation required to legally work in Canada? Or are you just not sure if you meet the necessary requirements to enter Canada legally as a worker? If so, continue reading this blog for further assistance and information on this immigration matter. Foreign nationals generally require work permits to legally work in Canada. 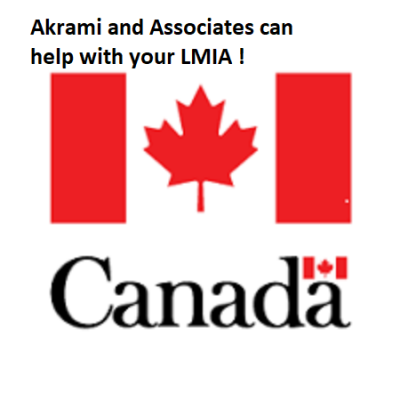 Furthermore, any Canadian company that wants to hire a foreign worker will need a Labour Market Impact Assessment (LMIA) approved by the Employment and Social Development Canada. If approved, the foreign worker can then given the job offer and use it to apply for a work permit. However, in some cases, an LMIA may not be required. Are you a skilled professional and are interested in moving to Canada? If so, one of the options that may be available to you is the Express Entry program. Under this program, Canada is looking for skilled workers with qualifying work experience and education to contribute to Canada’s growing economy. If you think this might be you and you would like to know what you need to do to apply, this blog may be for you. The Express Entry program is an online application system used by Canada immigration to process permanent residence applications for skilled workers. The first step is for Applicants to create an online profile through CIC’s website. You will be asked to give information about your skilled work experience, language ability and education. You will then be given points based on the information you provide and added into a pool with other candidates where you will be ranked against each other based on the points received. 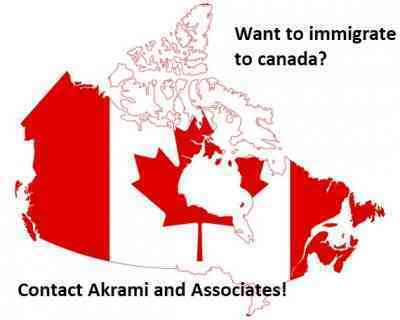 Are you a skilled worker looking to immigrate to Canada permanently? Do you have a specific province in mind where you would like to live? The provincial nominee program targets workers who have the skills, education and work experience to contribute to the economy of a specific province or territory. 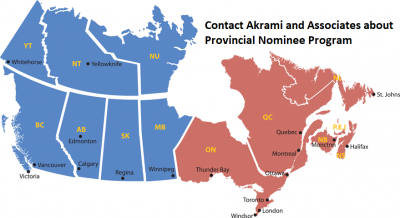 In this blog, we will talk about the application process and eligibility requirements for the Provincial Nominee program. If you are interested in learning more about this type of application, continue to read this blog. The Provincial Nominee Program is one of the available pathways to permanent residency in Canada. Under the program, Canadian provinces and territories may nominate individuals who wish to immigrate to Canada and who are interested in settling in the province or territory. The temporary foreign worker program is an umbrella program which includes all work permits an individual could apply for. There are many types of work permits within the temporary foreign worker program. In this article, you will learn about different types of work permit that the temporary foreign worker program includes. Has your permanent resident card expired? Are you traveling outside of Canada and don’t have enough time to renew your expired permanent residence card? Are you confused about what is required to renew a permanent residence card? If so, this blog may help answer some of the questions you may have about the permanent residence card renewal process. Having a valid permanent residence card is important if you plan to travel outside Canada and will need to re-enter Canada by plane, train or boat. Otherwise, you may not be allowed to board and re-enter Canada. It is important to note that you still have status as a permanent resident even if your card has expired. The card is however important for establishing your permanent residence status while traveling outside Canada and when you need to return. 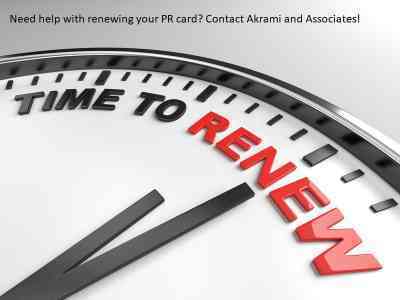 For this reason, it is always advisable to apply for a renewal. It is very important to recognize the Immigration services that you are hiring prior to them receiving your hard earned money. 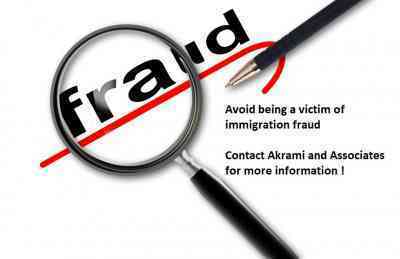 There are various fraudulent Immigration services that are being offered around the world that pretend to be authorized and real Immigration services, like Akrami & Associates. For foreign nationals that are not aware of which companies are real or fraudulent, this article will come as a great aid in determining this. Therefore, in this article, I will explain how to tell when a company is offering fraudulent Immigration services and how to know if a company is authorized to provide Immigration services. Before committing and providing any Immigration service with your money, it is very important to determine first whether they are a reputable and known business. There are many different companies, nationally and internationally, that are providing fraudulent Immigration services to vulnerable clients who don’t know they are fraudulent. Below, I have listed a few signs of a fraudulent Immigration service that you should be aware of. The hardship individuals who are coming from war-torn countries face, puts them in a position in a horrible position. Their country of origin, in a state of emergency, is obviously not making it priority to provide travel documents to help individuals leave. In some cases, the government is actively preventing individuals from leaving. Ultimately, for one reason or another, individuals are essentially stuck. Individuals who escape will not be allowed to cross other countries boarders easily at all, because they do not have valid travel documents, and could end up with nowhere to go. Fortunately, the United Nations has recognized the need for some individuals to seek protection in another country is a situation which arises sometimes, and it should be their right, as a human, to receive this protection. Therefore, countless countries have implemented procedures to help refugee claimants, and provide asylum from their country of origin. Canada is a country which provides protection to asylum seekers. Though, the process is very extensive and can be very confusing. Therefore, this article will aim to break down the process of making a refugee claim in Canada. First, you must either make it to a Canadian port of entry, where you will be arrested and detained and brought into custody with the RCMP. This is not the same as being arrested for criminality. One should think of this arrest as the beginning of protection, and it is simply the beginning of the refugee claim process. This is not to take away from the rigorous assessment individuals will face when filing a refugee claim, but it is important to understand you are not being arrested for criminality. It would not make sense for immigration officers to let anyone who has no intention of returning to their country of origin, roam free around the country, as it is likely they would not leave if their refugee claim was denied. If you are already in Canada, you can file an asylum claim at a Canada Border Services Agency (CBSA) inland office or an Immigration, Refugees and Citizenship Canada (IRCC) inland office. CBSA or IRCC officials will then determine if an individual is eligible to land as a refugee. First and foremost, in order to sponsor a refugee, make sure you are a group of five or more Canadian citizens, Registered Indians, or permanent residents who are 18 years of age or older and who live (or have representatives) in the community where the refugees are expected to live. This group of people is called the Group of Five. Sponsors need to have collectively arranged necessary settlement to financially support the principal applicant (the refugee) for the full duration of the sponsorship. The sponsors are also obligated to fulfill the terms of the Sponsorship Undertaking. Like any other sponsorships, a person who has been convicted in Canada of the offence of murder or other offences, and five years have not passed since the completion of the person’s sentence, then this person is ineligible to sponsor a refugee. 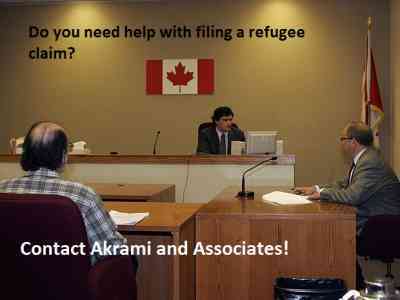 A person who has been convicted of an offence outside Canada, and five years have not elapsed since the completion of the person’s sentence imposed under a foreign law, then this person is also ineligible to sponsor a refugee. Have you ever wanted to move to Canada, but not sure about how you may pursue your dream? Well, there is an opportunity for you to become a permanent resident of Canada. With the Express Entry application, you are given a good chance of being considered as a skilled immigrant and move to Canada. 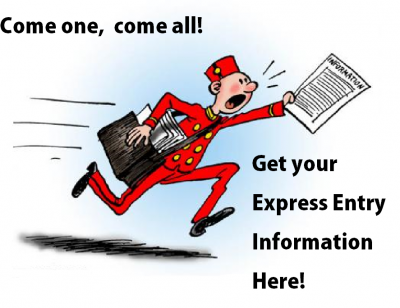 Throughout this blog, you will gain an understanding about the required documents and qualifications of Express Entry. Express entry is a system of Canadian immigration which seeks to attract highly skilled foreign nationals to the Canadian labor market. This system uses a point ranking program to seek out the most highly skilled immigrants. A Comprehensive Ranking System is used to determine which individuals will be given the chance to apply for permanent residency in Canada. This point system collects points primarily from these four main categories: education, language, experience, and age. That being said, if you are proficient in multiple languages, have great work experience, excel in your educational pathway and/or have a high degree like MA, BA, PHD, etc, you possess a good chance of being selected. Highly skilled foreign nationals will receive an invitation to apply for permanent residence, through one of the 3 express entry streams. Ultimately, express entry is the way in which applicants make themselves candidates to become permanent residents through either the Federal Skilled Trades program (FSTP), the Federal Skilled Worker Program (FSWP), or the Canadian Experience Class, depending on their qualifications. If you have a criminal record outside of Canada, and have been denied entry to Canada, you may want to overcome that inadmissibility. You may do this by applying for a temporary resident permit or applying for criminal rehabilitation. However, as the name suggests, temporary resident permit is just a temporary solution. After the permit expires, you will have to re-apply. If you do not wish to re-apply over and over again, we hereby present you the permanent solution, criminal rehabilitation. If you are eligible to apply, we strongly recommend you to apply for a criminal rehabilitation. In this article, you will learn information about Criminal Rehabilitation as well as the steps required in order to apply for a Criminal Rehabilitation. The Criminal Rehabilitation application would serve as a permanent solution for overcoming your criminal inadmissibility to Canada. If your criminal rehabilitation application is approved and you do not reoffend, you may travel to Canada without the need to worry about your past criminal record. Business visitors are individuals who travel to Canada to participate in particular business activities, such as meetings, conferences, and on-site investigations. In order to legally work in Canada, most individuals need a work permit. However, business visitors do not need a work permit. More specifically, the major difference between a business visitor and a business person is that a business person is making a salary from a Canadian company and participating in activities which are beyond the scope of a business visitor’s permitted activities. A business visitor, on the other hand, does not directly work for a Canadian company, but rather visits Canada to participate in activities that are related to international business. At this point, you may be wondering what specific factors qualify you as a business visitor. In this blog, you will learn relevant information about business visitors. Many immigration applications, such as Federal Skilled Worker applications and study permit applications, require applicants to provide their credentials. The credentials refer to the applicant’s education and work experience. If you obtained your credentials outside Canada, the Immigration, Refugees, and Citizenship Canada will require you to have your credentials assessed. At this point, you may be wondering the importance of having your credentials assessed. Having your credentials assessed will show employers what you are qualified for. That being said, employers will better determine if you need more training, education or Canadian work experience, and if your credentials are equal to the standards set for Canadian workers. 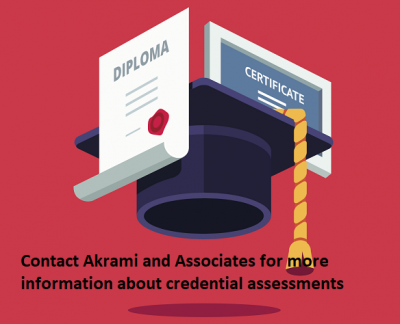 In this blog, you will learn information about credential assessment. 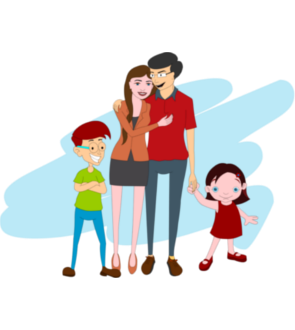 Immigration terminologies can be confusing to foreign nationals. The meaning of a credential is not necessarily the equivalent of the meaning of a qualification. As a result, it is important for you the fully understand the following terms. Are you a foreign national looking to work in Canada? Have you already received a job offer from a Canadian company and not sure what you need to do next? If so, this blog will provide you with useful information about the work permit application process and what you will need to do to work legally in Canada. A work permit is a document issued by Immigration, Refugee and Citizenship Canada (IRCC) that allows a foreign national to work legally in Canada. There are two types of work permits: an open work permit and a closed work permit. Canada is a beautiful country that has many tourist hotspots that attract foreign travelers to visit. You may be mesmerized with majestic view of the Banff National Park, Niagara Falls, Toronto’s CN Tower, Whistler, and many more. There are also many young individuals who want to work in Canada and have the ability to visit the aforementioned tourist hotspots. If you are a young individual who wants to work and travel in Canada, there is good news for you. The Immigration, Refugees, and Citizenship Canada has launched the International Experience Canada Program that gives youth the opportunity to gain work experience and travel in Canada. In this blog, you will learn about how the International Experience Canada Program works. The International Experience Canada Program, as previously mentioned, is a program that allows youth to travel and work in Canada temporarily. Citizens of countries with a bilateral Youth Mobility Arrangement with Canada who are between 18 and 35 years old may be eligible for the International Experience Canada Program applications. There are three types of travel and work experience under the International Experience Canada Program: Working Holiday, Young Professionals, and International Co-op Internships. Are you a Canadian company looking to hire a foreign worker to work for your company? Before you can hire the foreign worker, you may need to have a Labour Market Impact Assessment – which is a document that allows you to extend an offer of employment to a foreign worker. In this blog, we will provide some useful information about the Labour Market Impact Assessment process, when it is required and how to get one. The government of Canada understands Canadian companies may sometimes experience temporary labour or skill shortages. In cases where a Canadian company cannot find qualified Canadian workers to fill these shortages, the company may need to hire a foreign worker. The Labour Market Impact Assessment Process is required to show that hiring the temporary foreign worker will not have a negative impact on the Canadian job market by ensuring that qualified Canadians are not bypassed for a foreign worker. Have you applied for a Visitor Visa to Canada but got refused despite providing all required documentation? Well you are not alone. Many people do not know this, but one of the most difficult applications to get approved for in Canada immigration is the Visitor Visa. A recent article in the Globe and mail confirmed an increased rate in refusals each year. In 2017, almost 600,000 people were refused a Visitor Visa to Canada. This number made up over 25% of all Visitor Visa applications received that year. Are you looking to work in Canada as a caregiver? Do you have an employer who is willing to hire you and you want to learn more about what you and your employer will need to do before you can work for them? On this blog, we will discuss Canada Immigration’s Live-in Caregiver program, the eligibility requirements, application process and some of the duties and responsibilities of both employers and applicants in this type of applications. 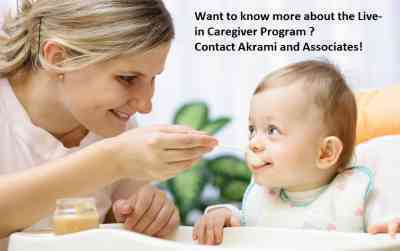 The Live-in Caregiver program is one of the programs under Canada immigration’s Temporary Foreign Worker program. Under the program, employers can hire temporary foreign workers who are caregivers to care for the elderly, children and persons with medical needs. The Provincial Nomination Program (PNP) allows many Provinces and territories in Canada, with the exception of Quebec, to nominate individuals with certain skills, education, and work experience to immigrate to Canada. In order to improve the efficiency of immigration application processes, many provinces and territories have connected their own PNP programs with Express Entry since January 1, 2015. Each province and territory has their own criteria for their PNP programs; this allows provincial governments to have better control of the services and employment sectors in their region. 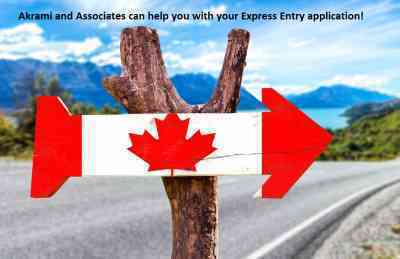 In this blog, you will learn about how to immigrate to Canada as a provincial nominee through Express Entry. If you want to apply for a PNP through the Express Entry, you have two options to do so. Becoming a Canadian citizen means you have reached the milestone for your immigration journey. There are so many privileges and benefits of being a Canadian citizen. For example, Canadian citizens have the opportunity to exercise their democratic right to vote and even more, actually become involved with a political party or leadership campaign. Furthermore, if you are a Canadian citizen, that means you may travel with ease without worrying about the expiry date of your permanent residence and your residency obligation. In order to obtain your Canadian citizenship, you will undergo three steps: application stage, test, and oath. 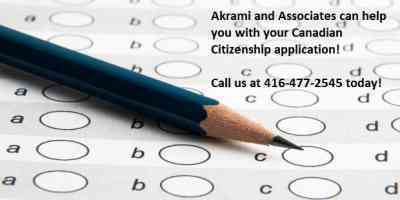 In this blog, you will learn specifically about the Canadian citizenship test. If you are between the ages of 18 and 54 when you submit your Canadian citizenship application, then you are required to take the test. Failure to do so will result in the refusal of your application. If you are a person who is under the age of majority and wants to come to Canada, you will undergo a specific application process prior to entering Canada. The border officers are very strict when it comes to examining minor children’s entrance. The reason behind this is that, the officers want to make sure those minors, who are coming to Canada, are not missing children or runaway children. That being said, minors without proper documentation or the company of their parents or legal guardian(s) will be scrutinized when they are entering Canada. 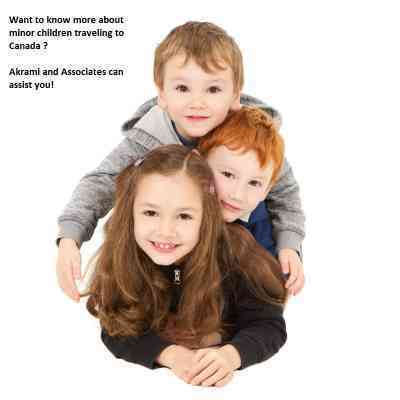 This blog will introduce you required documents for a minor travelling to Canada, as well as some possible scenarios that a minor may encounter at the border.